Trump White House counselor Kellyanne Conway welcomed news that former Obama White House counsel Greg Craig was indicted on Thursday for allegedly lying to federal investigators. As Law&Crime previously reported, Craig was charged with making false statements and for concealing information on an official form in relation to his previous lobbying work for the Ukrainian government–a gig Craig obtained through his relationship with former Trump campaign chairman Paul Manafort, who was sentenced twice as part of Robert Mueller‘s Russia investigation. Notably, Craig became the first Democrat to be charged as a result of the expansive Mueller probe. His tenure as a high-profile legal functionary in both the Barack Obama and Bill Clinton administrations was, obviously, a ripe issue for Republican Party operatives looking to score a political point. Here’s where Kellyanne Conway comes in. WHITE HOUSE OFFICIAL INDICTED in connection with MUELLER investigation! The implication of Conway’s satisfactory tweet appeared to be that Mueller’s investigation had, prior to Craig’s indictment and arrest, failed to implicate any member of the Trump administration. That implication, of course, is not true. Re-claiming ground last held during the George W. Bush administration, it was a Comedy Central employee who first offered the necessary journalistic corrective here. Recall: Former Trump White House National Security Adviser Michael Flynn was charged with making false statements to federal investigators on November 30, 2017–the exact same charge that Craig was indicted for. 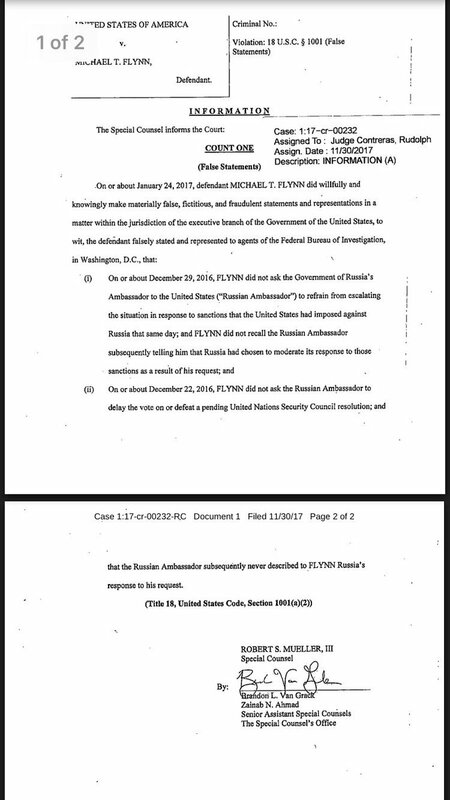 Flynn pleaded guilty to the charges just days later.